Robert Parker: 96 Antinori’s 2013 Tignanello is wonderfully ripe and seductive in its dark cherries, flowers, spices, tobacco, sage, cedar, mint and minerals. 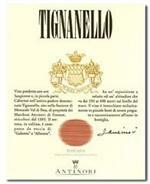 This is as opulent a Tignanello as I have ever tasted! Wine Advocate Score 95! The phenomenal 1991 Cabernet Sauvignon Private Reserve Georges de Latour is the greatest BV Private Reserve made since the 1970 and 1968. The good news is 11,000 cases were produced. Wine Advocate Score 95! 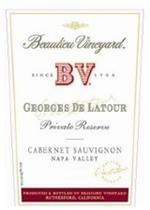 The phenomenal 2007 Cabernet Sauvignon Private Reserve Georges de Latour is the greatest BV Private Reserve made since the 1970 and 1968. The good news is 11,000 cases were produced. 98 points, Robert Parker's Wine Advocate, December 2011. 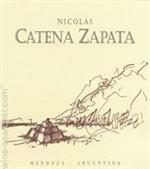 The 2008 Nicolas Catena Zapata is a blend of 60% Cabernet Sauvignon, 30% Malbec, and the balance Petit Verdot and Cabernet Franc. RP: It offers a classic bouquet of incense, licorice, pain grille, black currants, truffles, and flowers. Medium-bodied and concentrated, it is another terrific effort from an estate that has done everything right over the last decade. 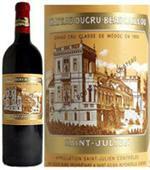 The 2006 Ducru Beaucaillou offers sweet mineral-infused black cherry and cassis fruit interwoven with notions of graphite and truffles. Powerful, pure, rich, and intense. Wine Spectator score: 95/100. Aromas of berries and spices follow through to a full body, fine tannins and a chewy finish. Tight and reserved but shows lovely potential. Layered and refined. Very beautiful. Perhaps better than 2000. ..92-94" WS 3/06. ROBERT PARKER Rating 93 REVIEW: Classic aromas of blueberries, cedar, vanillin, black currants, and spring flowers jump from the glass of this dense purple-colored St.-Emilion. Broad, rich, jammy fruit flavors very full-bodied! Full-bodied, with big, chewy tannins and an aftertaste of vanilla, blackberry and espresso. Mouthpuckering. Very concentrated and structured for this wine. Best after 2015." Wine Spectator rating of 93. Wine Spectator rating 94 and Robert Parker 94. Lovely aromas of dried lavender, crushed berries and minerals. 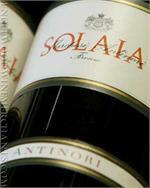 Full-bodied, with firm, yet polished tannins and a medium finish of tobacco, berry and dark chocolate. A balanced and very pretty young red. Lovely aromas of dried lavender, crushed berries and minerals. 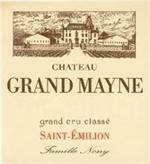 Full-bodied, with firm, yet polished tannins and a medium finish of tobacco, berry and dark chocolate. A balanced and very pretty young red. Rating: 93/100 - As reviewed in Wine Advocate # 164 on Apr-06. While quintessentially elegant, it is surprisingly powerful with an ethereal perfume of blue, red, and black fruits intermixed with notes of violets and spice box. 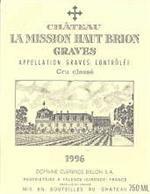 (95 Points) The finest Le Gay produced since the post World War II era, the 2005 even eclipses the fabulous 1982 and 1989. This inky/purple-hued effort reflects the commitment of proprietress Catherine Pere-Verge. Excellent French Bordeaux from an off vintage year, however this 2nd growth vineyard had a great year and the ratings support the taste. 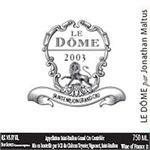 Wine Spectator rating of 95 and #4 wine of WS Top 100 2007. A deep ruby red in color, this fantastic Bordeaux is a blend of Merlot (70%) and Cabernet Franc (30%). The savory palate is loaded with black fruit and features a fresh and spectacularly long finish.